This is the time to celebrate your New Year Eve Bash on a place that is filled with lot of fun, entertainment, music and other amenities that make this celebration unforgettable forever. 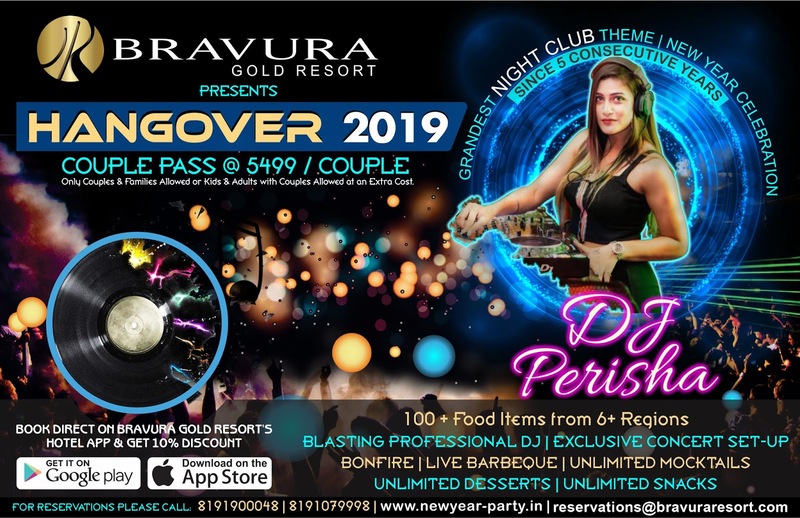 Exactly same New Year Party place is available at Bravura Gold Resort (An exclusive 5 Star featured facility at N.H: 58, Delhi – Roorkee Highway, Meerut) that organize New Year Grand Party (HANGOVER - 2019) on 31st Dec, 2018 at 08:00 PM Onwards. After the grand success of New Year Party (HANGOVER - 2018), Bravura Gold Resort once again presents HANGOVER - 2019 with a promise to make it one of the most memorable evening of your life. Here, you can come with your friends, partners, children and loved ones to take the delight & pleasure of such Rocking DJ Night Party and to make this New Year’s Eve memorable forever! This New Year Eve consists of Blasting PRO-DJ, Massive Dance Floor, Live Barbeque, Lavish Buffet, Unlimited Desserts, Unlimited Snacks and much more that will take you at the end of entertainment, fun, masti and pleasure. Venue Details: Bravura Gold Resort, Delhi - Roorkee Road, Partapur, Meerut (U.P.) 250103, India. For more detail about New Year Party Packages, please visit us at http://www.newyear-party.in or please call us at 8191900048, 8191079998. 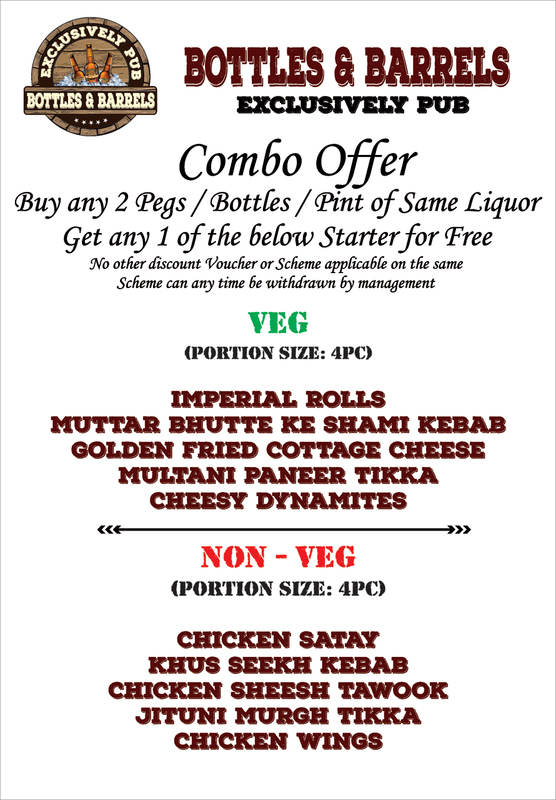 Enjoy Combo Offers at Bottles & Barrels (Exclusively Pub). Fast food is the food that is already cooked food, which just needs finishing and packaging just prior to serving it to the customer. 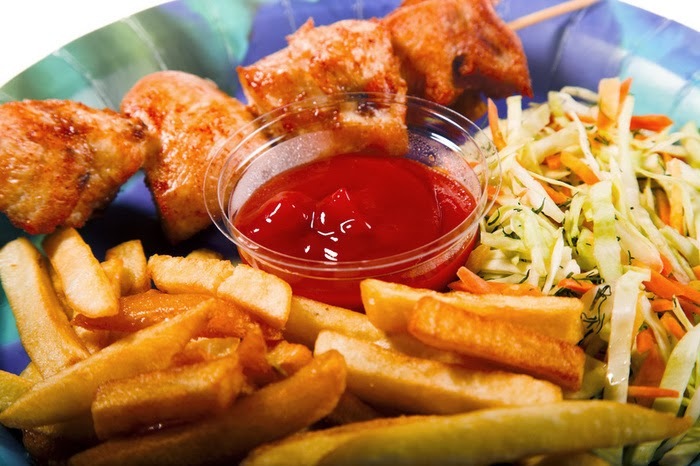 Globally, the term fast food joint is also known as quick service restaurant QSR and take away restaurant. During a visit to resorts for relaxation and recreation, there are many attractions and facilities inside the resort. 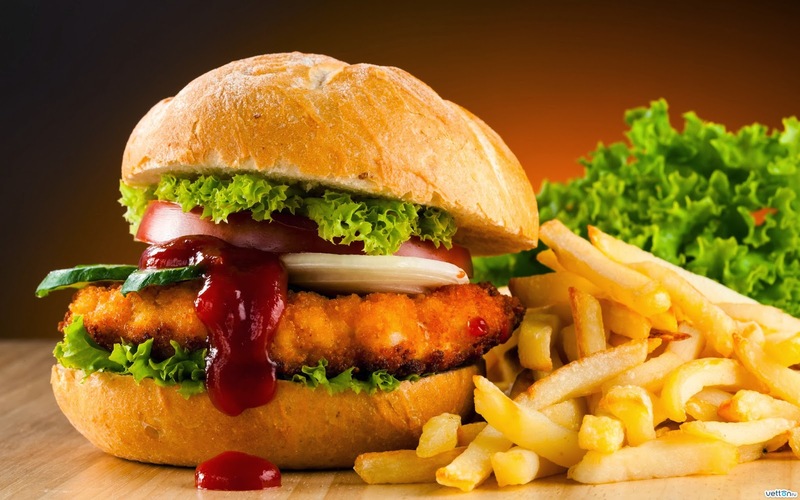 One of the finest resorts at Meerut Bypass has Rapidz: fast food restaurant near Fun Zone area. The name Rapidz gives a clear hint that it must be related to any rapid activity, so a well-suited name for a fast food chain, not just theoretically but practically too because Rapidz: fast food restaurant in Meerut at BRAVURA GOLD RESORT serves its purpose with a quick fast service and a wide range of fast food items. BRAVURA GOLD RESORT is a top class luxurious hotel and resort located at Delhi Roorkee Bypass, Meerut, Uttar Pradesh, India. It is the only place where you would get vast range of exclusive facilities with excellent services. Bravura Gold Resort. Travel theme. Powered by Blogger.